Exercise & DS. How to get moving! 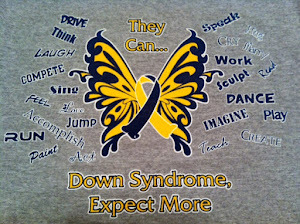 We all know the benefits of exercise, but these benefits can mean even more for our children with Down syndrome as it encourages muscle strength, better balance, increases endurance, and establishes a foundation for a healthy, active lifestyle. As with anyone beginning an exercise program, please discuss with your child's pediatrician before beginning. You should also consider your child's health, interest, limitations, abilities, strengths, weaknesses, balance, and time. You could also gather input from your child's therapists, such as the physical therapist. If your child has low energy levels, evaluate their thyroid status, nutritional status, and diet with a professional. Need help getting started? Here are some suggestions that work for us. We usually begin our day with yoga. If you live in an area with limited internet, you can download the videos from youtube to your computer for free and have access to them anytime. When you find a video on youtube you enjoy, put "ss" in front of the word youtube in the webpage address box. If it says "www.youtube.com/star" then you simply change it to "www.ssyoutube.com/star " and hit the download button. Too easy! Here are Payton and Presley teaching yoga to their dolls. They even made their own yoga video. minutes of yoga and 6 minutes of exercises using the fit deck cards. *Cosmic Kids - super fun yoga for all ages. She dresses up and takes kids on a storybook like adventure each session. All videos are free on youtube. *Yoga Kids - "YogaKids empowers children and teaches them the skills to better care for their bodies, access and interpret feelings, manage stress, solve problems, and connect to others". Videos for different ages and learning, such as Silly to Calm, ABC's, etc... I found their videos much cheaper here on Amazon though. * Dance X - fun dance moves, but maybe a little fast the little ones. Here is a clip showing several of the dances. * Debbie Doo and Bounce Patrol - my daughter's favorites to watch. 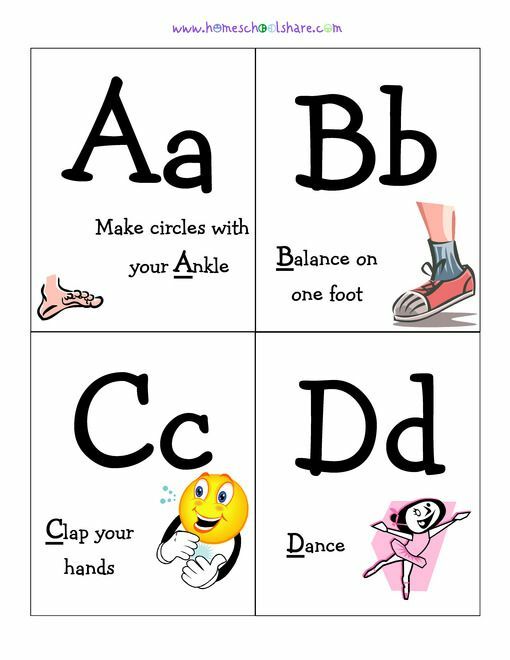 They encourage lots of movements to fun children's songs. Favorites Star Jump and Hokey Pokey on youtube. * Happy dance by The Learning Station - fun to dance too. Short video with lots of movement to music. 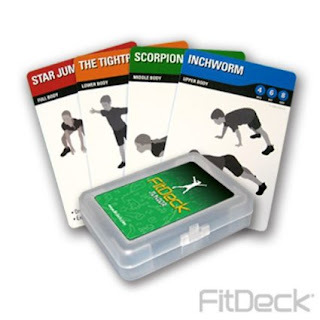 * Fit cards - the girls get to pull out a card to choose an exercise to do. This could travel easy also. Costs $7.95. 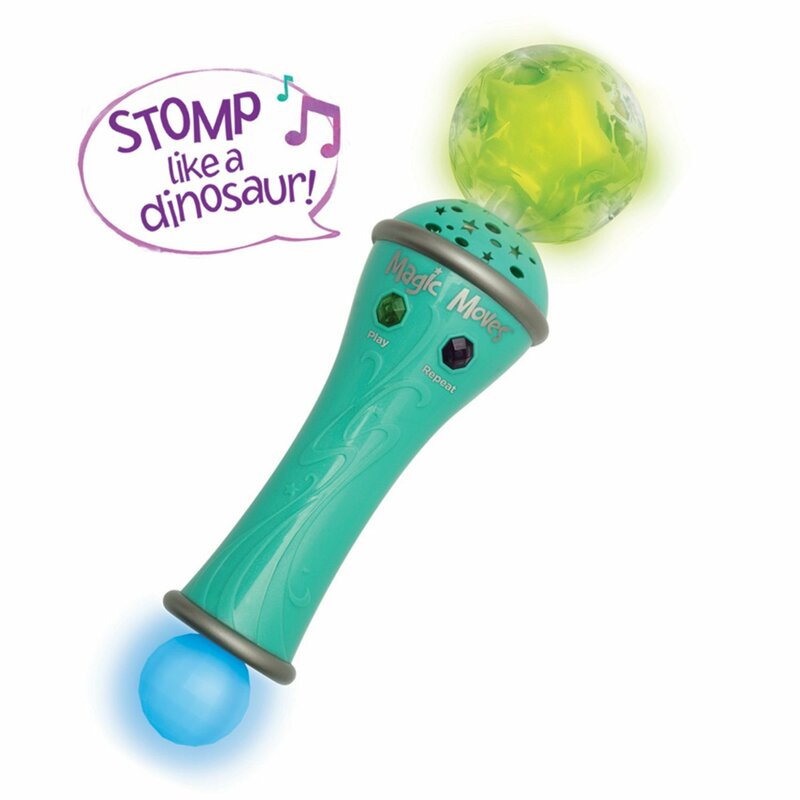 * Magic Moves Microphone - the kids push a button and it tells them what move to do, such as "gallop like a horse" or "stomp like a dinosaur". This encourages good listening too. 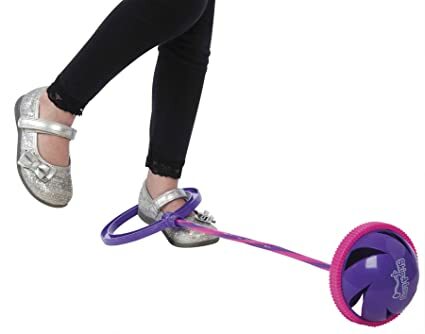 * Skip A Long - the rope is around one ankle while the other foot jumps over it. 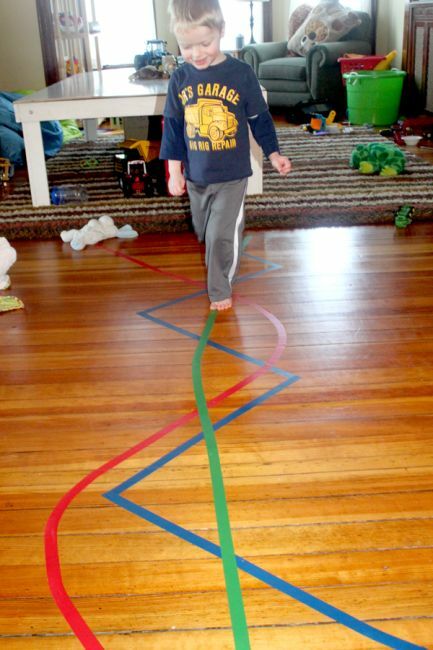 It does require balance and coordination of timing, so better for older kids. * Small indoor trampoline - encourage them to jump (if no contraindications for health, such as neck instability, and be cautious with children who stim as this may encourage peripheral vision play). It is fun to do auditory processing (see previous post) before each jumping episode. * Walking - hiking - we call this our "Nature therapy" when we go walking through trails, by the river, or around the farm. We talk about everything we see. Sometimes I give them a list of items for a scavenger hunt to make them memorize things. We stop and write words or math problems in the dirt as we go. * Biking - see this article how 30 minutes 3 times a week improved speech, dexterity, and IQ using "assisted cycle therapy". 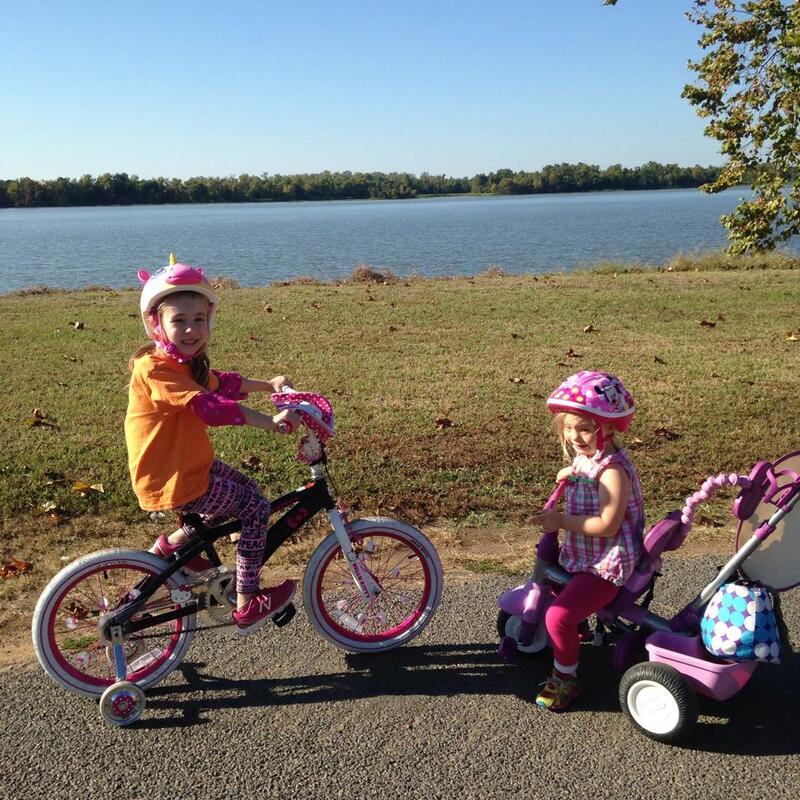 So strap them into their Smart Trike and get those legs moving as you push the little ones. * Basketball - we use a heavier cushioned ball indoors to build upper body strength. * Balance beams - place a 2x4 piece of wood on the ground or use one like this. * Dance class - see Presley 4 year old (DS) doing her routine here. It is always a fun work out for her and socializes her too. At home, put bubble wrap on the floor and have a loud dance party. * Vinyl color dots on the floor. 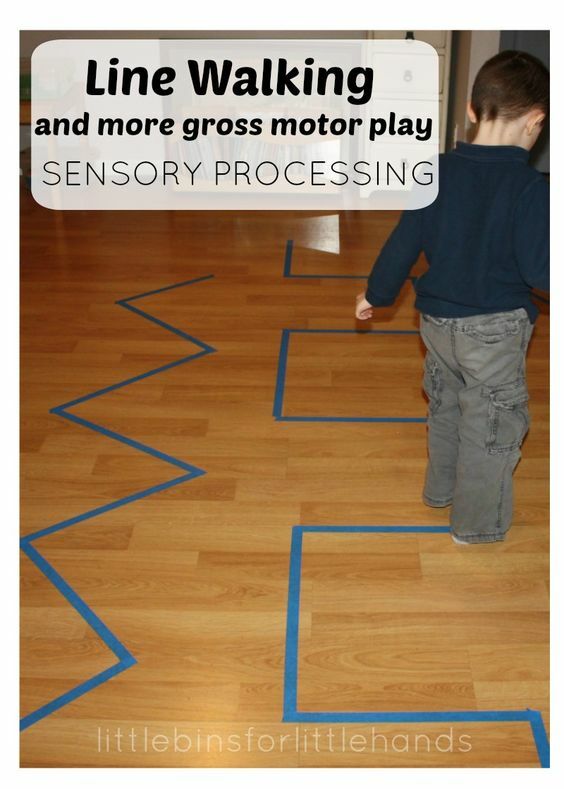 This creates unlimited possibilities from jumping, auditory processing, colors, counting, or just letting them use their imagination. We found these on Amazon for less than $20. 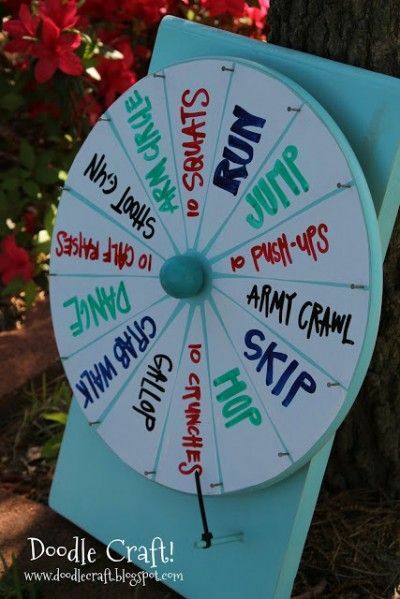 * A fun exercise wheel. 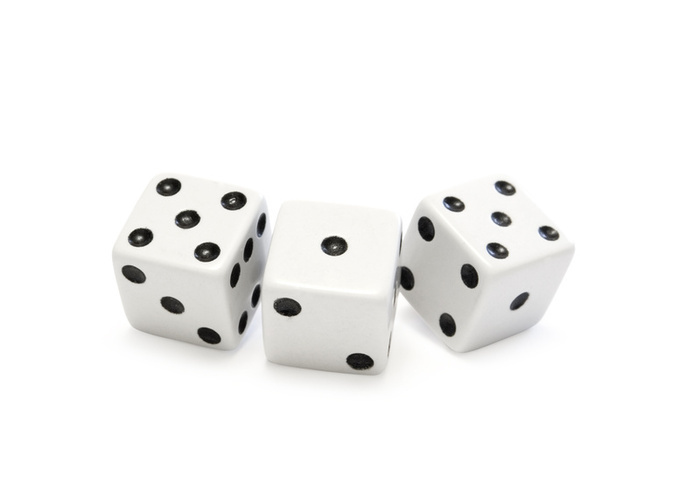 * Make fun exercise dice by clicking here. 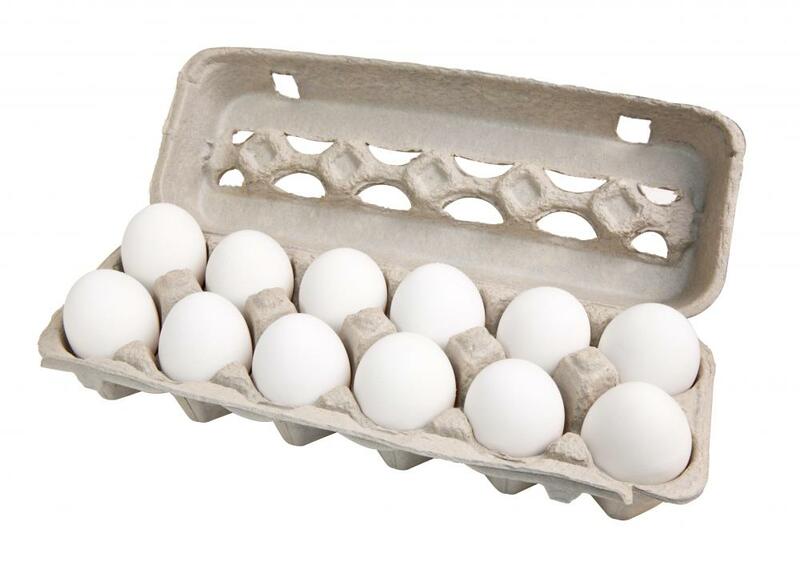 * Cute idea called "exercise eggs" that uses eggs with notes inside there were hidden around the room. 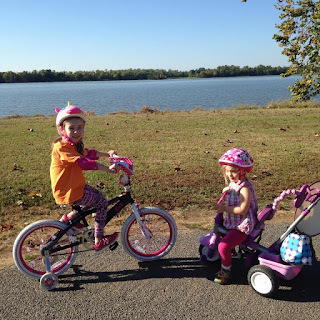 I hope this post encourages you and your family to get moving and have fun together. Size grading with bolts, washers, and nuts !! But after much searching and running out of snacks for Olivia and Emma I put a group together based on longest to shortest with as much variety that I could formulate. Below is what it looked like. I purchased two sets, one for each little darling. Your child can do lots of cool things with the washer and nuts in addition to attaching them. We started by inserting them into floral blocks based on tallest to shortest. From there we added the washers...this got a little tricky when they realized the larger ones fit on all or most of them. So I had them line them up based on size again. Made things a little easier. From there we screwed on the bolts. Emma certainly surprised me on this one...she did great and was very patient. From there we pulled them out and rearranged them in different orders. Talked about tallest, shortest, heaviest, lightest, left, right and middle. All these objects naturally provide lots of chances to count, and my kiddos love to count. When counting we make sure we touch and count in synch. This 1:1 association is very important for math skills development and understanding. You can introduce all kinds of new words while your child is using these materials. Examples include: Largest, smallest, larger than, smaller than, shortest, longest, wide, thin, round, straight, edge, corner, point, side, face, cube, rod, circle, heaviest, lightest, hexagonal and rectangular prism (as Olivia loves to correct me on). As always...have fun and be creative. And when we have family game night I want her to see 11 instead of 3 dice. But like a lot of our kids, you better make it fun. Emma will hit the road on you if she smells work. For us, the answer for some time has been Task Boxes. They are super easy to make, you can get extremely creative and they store very nicely. 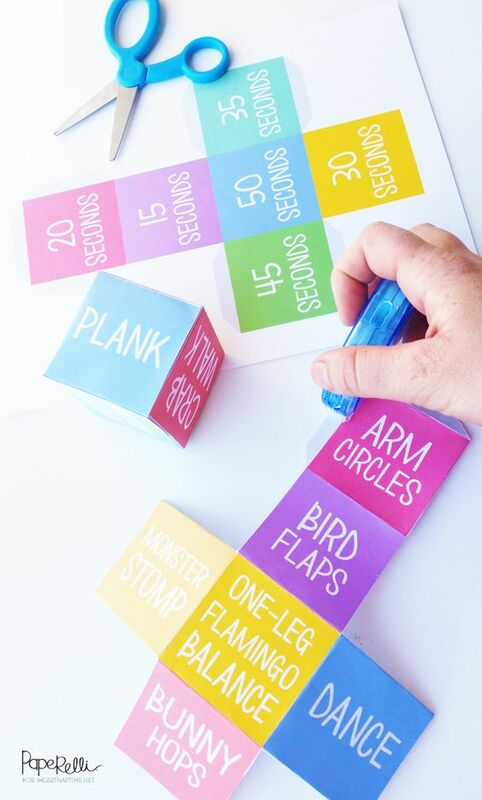 Task boxes are single, organized activities with a clear beginning and end. All task materials are contained within clearly defined boundaries-trays, boxes, baskets, tubs, folders or binders. Each task is presented with visual organization and clarity. The materials clearly define the activity and help complete the task. Task boxes emphasize visual learning styles, avoiding the need for auditory processing of verbal directions, an area of deficit for many of our kids. Emma has really started fighting me on auditory learning (which has always been her strongest area) so I am cutting her a bit of a break and mixing it up a little. We started with 0-8 sorting which was a great success. We will slowly move up the ladder. Maybe combining two for her to add or subtract. From there we moved to Under, Over, Left and Right. I picked up the little pink containers at the dollar store, 4 for $1. 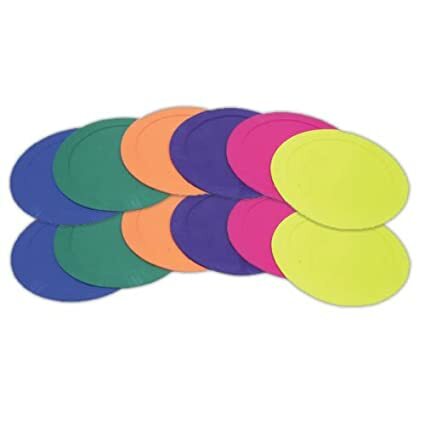 The cards are index cards cut in half with cheap stickers stuck on them and laminated. You can pick up a very inexpensive laminating machine here. We have had this one for over 2 years and I have certainly put it to the test and it is still holding up great. Here is the best bang for your buck I have seen on laminating sheets and laminating pouches. When the fun is over they fit nicely in these little containers from Wal-Mart. Shoe boxes are just as effective. Get creative and have fun.